There will be a 10¢ charge per gallon for 100- to 140-gallon purchases. 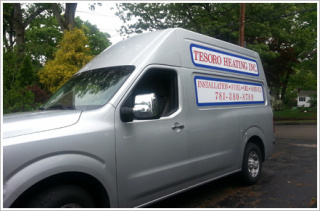 "Always the lowest price around"
Jamaica Oil Company & Tesoro Heating Inc. Call us for your emergency service needs. At Jamaica Oil Company & Tesoro Heating Inc., we understand the necessity of having your home heated to your specifications. Our highly trained and experienced technicians offer the residents in the South Shore the best possible services available. We offer complete installations, oil line upgrades, and more! We do not use outside subcontractors to service our accounts. We do all the work ourselves so you know you will get reliable service! We are fully licensed and insured, and all of our work is guaranteed. We offer all the same discounts and more for our automatic customers, including budget plans and discounted service contracts! This is the best way to take advantage of all of our discounts! Many of our customers have taken the bite out of winter’s high oil bills. This program is very popular. You may budget your yearly oil cost into 12 monthly payments (budgets are from May-April). Call today to see what your monthly payment would be! This program includes nozzle oil filter pump strainer cleaning and vacuuming unit efficiency testing as well as any recommendations for your heating system. Price fluctuates daily, but you can be assured that we will always have the best competitive price around. If you get your oil through us and have run out, there is a $40.00 priming charge. Of course, if you’re an auto customer, there is no charge. We offer complete installations of boilers, furnaces, hot water heaters, and oil tanks. © Jamaica Oil Company & Tesoro Heating Inc.